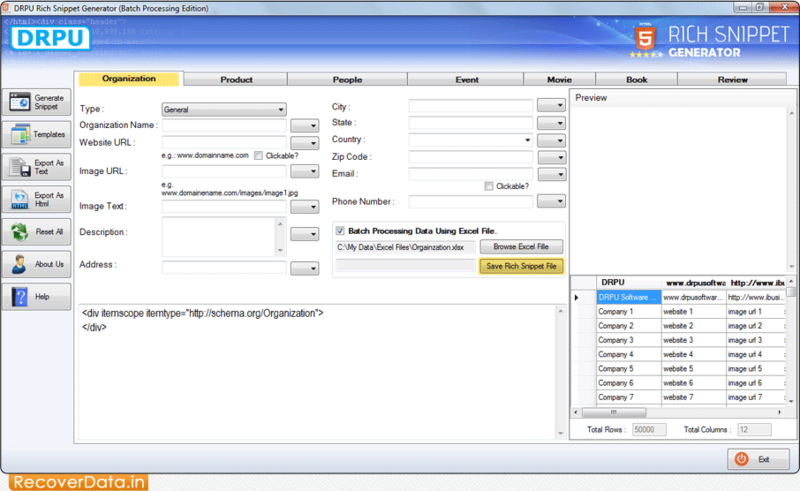 Click 'Organization' tab then enter all required details to create microdata code. To save generated rich snippet file, click 'Save Rich Snippet File' button. 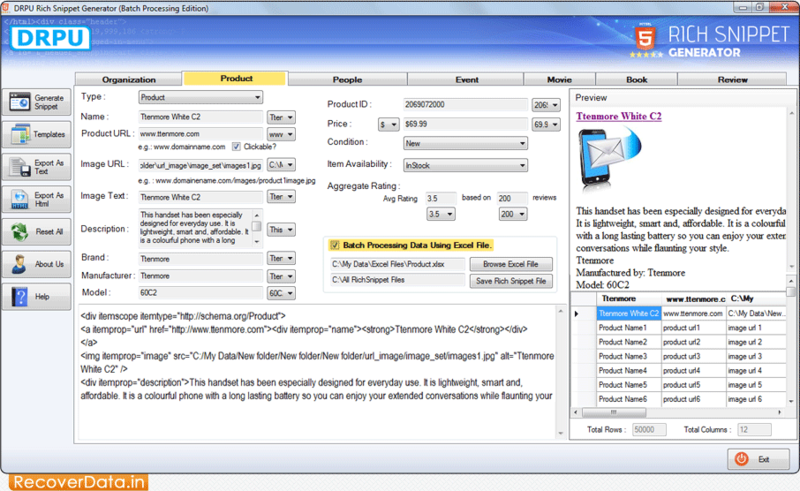 Now, click on 'Product' tab and fill all required information. Enable 'Batch Processing Data Using Excel File' then browse excel file. Go to the 'Event' tab and fill all details as per need.